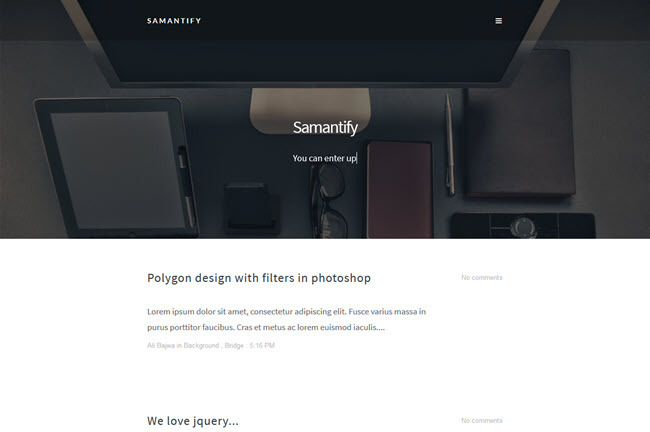 Samantify is an awesome, clean, simple, minimal & refreshing blogging theme. It makes sure focus is on your content and images. The header images make for a striking look and keep the reader’s attention. Welcome your visitors with a great rotating text eye catcher. It’s totally responsive as well. Custom header background per page/post. Beautiful header area with intro text. Header area with blur effect & parallax.